ERIC Salamat has reaffirmed his commitment to play for Flying V in the D-League even as a PBA team has called him up for a possible return to the big league. 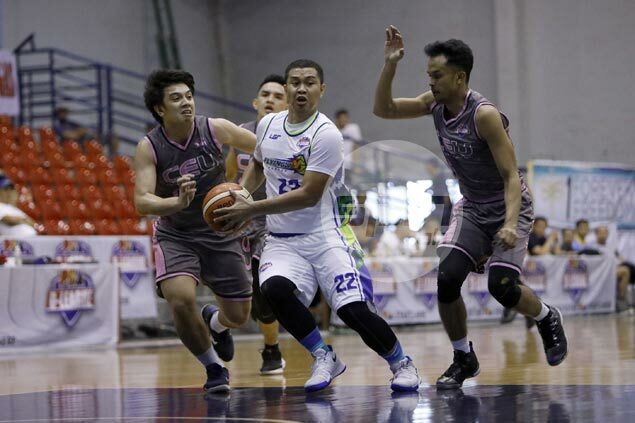 “Dito muna tayo,” said Salamat on Wednesday, and a day later he came up with a strong performance to help the Thunder close in on a spot in the finals of the Foundation Cup. Flying V team manager Joey Guillermo confirmed Salamat has received a call from a PBA team although he did not reveal which club. It has been three years since Salamat last played in the PBA, but Guillermo said the veteran is willing to finish the conference for Flying V.
"Si Eric, tinawagan 'yan pero sabi niya, dito ako," Guillermo said. "I guess I can commend Eric. He is the captain ball of the team. He wanted to show that we are united." "Sabi ni Eric, pakyawin niyo na lahat ng players, family ito. He is one of the leaders of the team," said Guillermo.